By Bill Hartzel, Director of Strategic Execution, Catalent and Andy Goll, Chief Operating Officer, Weiler Engineering, Inc. Since the development of intravenous solutions, a standard practice has been to use glass for packaging. What to expect from glass, and specifically what to control, has been well documented and studied, which makes it a reliable staple in the biopharma industry. However, a significant amount of human intervention is required in traditional glass bottle filling, which can lead to several issues, such as contamination. As the industry continues its move toward biologics, innovative solutions and technologies will be needed to ensure a safe and reliable approach to the manufacturing and delivery of these drugs. One option is to leverage the advanced aseptic manufacturing of blow-fill-seal (B/F/S) technology. To understand why B/F/S is such a great option to consider in today’s market conditions, it is important to first understand how B/F/S works. A B/F/S container is created using a continuous, and automated manufacturing process. Within a matter of seconds, a B/F/S container can be formed, filled, and sealed in ISO 5 (Class A) aseptic conditions within the B/F/S machine. This technology drastically reduces the risk of foreign particulates and microbial contamination in a highly efficient manufacturing process. Extrusion — A thermoplastic resin, which forms the vial or container, is melted under a very high temperature. The process forces a phase transition from a solid to liquid and forms tubes of plastic called a parison. Container formation — The parison is then flushed with sterile air prior to being cut. When the parison reaches the proper length, a two-stage mold closes around it. The main mold and holding jaws close, pinching the bottom of the parison to form the body of the container while holding the top of it open. Fill — The mold then shuttles forward to the Class A filling zone where fill nozzles are lowered into the container. It is then filled with anywhere from 0.2 ml to 1000 ml of solution containing drug product. The nozzle is then raised, and through vacuum pick-up tubes a rubber stopper can be automatically inserted into the top of the vial while it is still open. Seal — In this stage, the mold closes to form the top, which hermetically seals the container and, in this application, sealing in the rubber stopper insert. Release — The mold opens, and the formed, filled, and sealed container is conveyed out of the machine. The B/F/S process eliminates human intervention, which greatly reduces the risk of contamination typical with traditional glass bottle filling. The benefits of B/F/S’s ability to reduce contamination and provide another option for primary packaging applications are wide-reaching. The biggest challenges with glass packaging can be addressed with B/F/S, thereby mitigating the risks typically associated with aseptic filling and aseptic manufacturing. Particulates — This is, by far, the biggest issue facing glass packaging today. Particulates from the environment and/or glass delamination can present serious risks if delivered intravenously to a patient. In 2016, there were 13 recalls related to the presence of particulates.1 As a result of drugs being held from the market during a recall, the industry also faces possible drug shortages should the issue of particulates continue. This increase in the number of recalls (and ultimately drug shortages) has drawn industry-wide attention leading to a greater focus on how to reduce the potential for contamination in biologics. Through automation and process simplification, B/F/S has the potential to greatly reduce the presence of particulates. Breakage — As with anything made of glass, traditional packaging has a higher probability for breakage. This can happen during the packaging process, shipping, and even during use. Glass shards can present a danger to employees and potentially patients. It can also affect productivity if extended downtime is needed for clean-up. Lack of Flexibility — Glass packaging is usually bottles, which limits a manufacturer to a cylindrical design. With B/F/S, a drug company has more options as to how they want to deliver the medication to the patient. A container could be any shape, making packaging more efficient and weight of the shipment lighter. This has the potential to facilitate the global distribution of biologics, such as vaccines. Ultimately, B/F/S provides primary container design freedom. Despite the benefits of B/F/S over glass, there are some critical considerations a manufacturer must make before they can begin to utilize plastic packaging for their biological product. Determining the appropriate packaging for a large molecule formulation is especially challenging because of the critical need to maintain stability of the protein throughout the manufacturing process. If there is any structural damage to the protein by its primary packaging it could affect the immunogenic response of the patient and, as a result, the drug’s efficacy. This is why it is imperative to conduct stability testing prior to selecting a packaging material. While plastic packaging is different and presents a risk of different leachables and extractables, this is not the case for every plastic available. In addition, all materials have extractables. 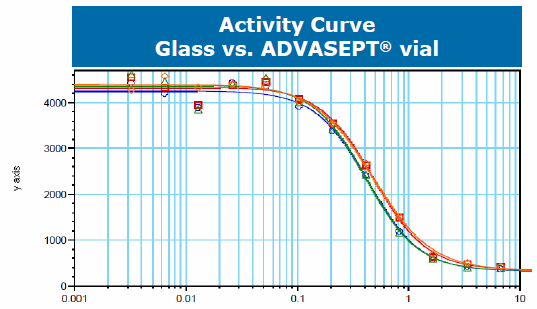 Glass and even steel have extractables that can negatively affect a drug product. However, because of the history, those products have been well characterized and the industry is comfortable with the risks they present. To determine what risks your packaging presents — regardless if it is plastic — stability should be tested to determine compatibility between the product and the packaging. To do this, the product should be stored in the selected packaging for an extended period of time. A chemical analysis is completed at the end of the designated timeframe to determine if the product has been degraded and what, if any, the impact is of the leachables. Stability testing should also test for permeation, another concern related to plastic packaging. Unlike glass, which is impervious, plastics are considered semipermeable. That is not to say though that permeation is going to have a negative impact on the molecule. Overall, permeation is dependent on many factors, such as the material, thickness, and even temperature conditions the product is exposed to during packaging. Stability testing allows a company to determine critical control parameters for each of these factors — leachables and extractables, permeation, and thermal stability — to ensure safety and efficacy. B/F/S has been used for a commercial biologic drug product for the inhalation market for over 20 years, and it has also been successfully trialed for multiple biologics. 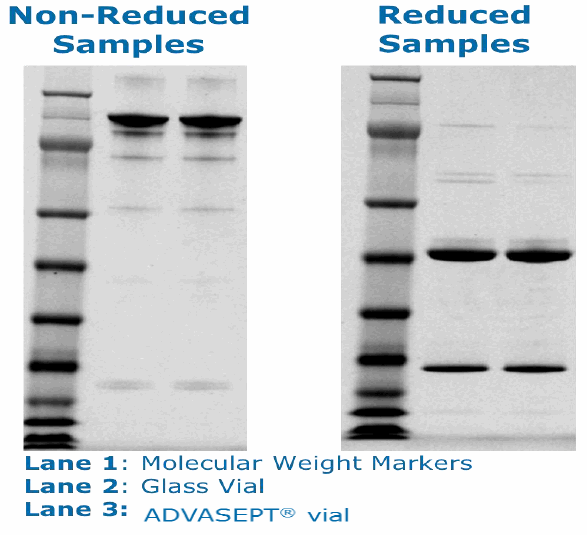 Nonetheless, Catalent, a leading CDMO in the life sciences industry, wanted to compare the data sets between glass and a B/F/S vial, ADVASEPT®, for packaging a large molecule drug product. ADVASEPT Technology is Catalent’s advanced aseptic filling solution for parenteral products that uses the B/F/S process. 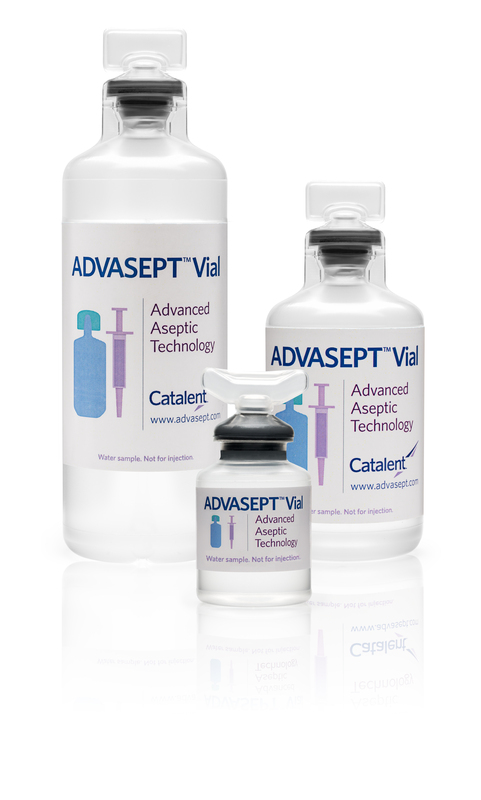 Leveraging the company’s biologic facility, Catalent formulated a monoclonal antibody (mAb) and then conducted a 24-month compatibility study using the same bulk mAb filled in both traditional glass vials and ADVASEPT vials. 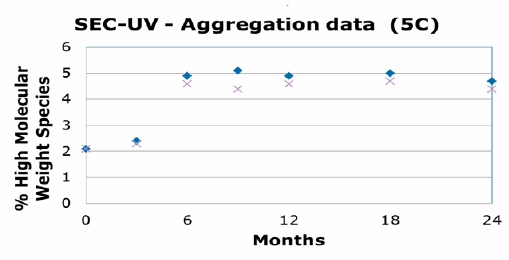 It is difficult to extrapolate data for large molecules because of the varying responses they can have; however, these tests indicate that B/F/S technology is a viable option for the primary packaging of biologics. B/F/S offers not only an efficient manufacturing process, but it is also a cost-effective unit dose delivery method. These characteristics are critical in an industry where innovation and technology will ultimately be needed to address the challenges of traditional glass filling as well as the global distribution of biologics.